Clothing, namely skirts, pants, shirts, jackets, tee shirts, golf shirts, sweat shirts, sweaters, sleepwear, hockey jerseys, socks, pullovers, short pants, scarves, turtle necks, mock necks, undergarments, vests, hoodies, headbands and wristbands; hats, toques visors and sun visors; coffee mugs and drinking glasses; stationary, namely pens, pencils, paper, envelopes, notebooks, binders, calendars, postcards, wrapping paper, posters; novelty items, namely collectable figurines, comic books, playing cards, emblem badges, party balloons, novelty pins and buttons, keychains, clocks and watches, umbrellas, miniature hockey sticks, lunch boxes, cloth towels, and household wallpaper; digital photographic images downloadable to a computer or any wireless device via a global communications network. 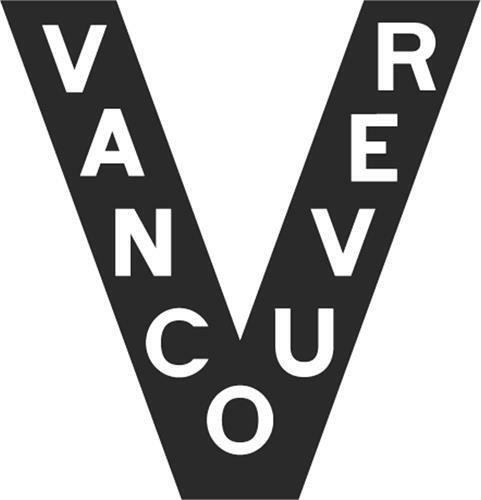 On Monday, December 8, 2008, a canadian trademark registration was filed for the above pictured logo by Vancouver Canucks Limited Part 800 Griffiths Way, Vancouver, BRITISH COLUMBIA, CANADA V6E6G1. The Canadian IP office has given the trademark application number of 1420901. The current status of this trademark filing is Registration published. The correspondent listed for is BERESKIN & PARR LLP/S.E.N.C.R. of SCOTIA PLAZA, 40 KING STREET WEST, 40th FLOOR, ONTARIO, CANADA M5H3Y2 The trademark is filed in the description of Clothing, namely skirts, pants, shirts, jackets, tee shirts, golf shirts, sweat shirts, sweaters, sleepwear, hockey jerseys, socks, pullovers, short pants, scarves, turtle necks, mock necks, undergarments, vests, hoodies, headbands and wristbands; hats, toques visors and sun visors; coffee mugs and drinking glasses; stationary, namely pens, pencils, paper, envelopes, notebooks, binders, calendars, postcards, wrapping paper, posters; novelty items, namely collectable figurines, comic books, playing cards, emblem badges, party balloons, novelty pins and buttons, keychains, clocks and watches, umbrellas, miniature hockey sticks, lunch boxes, cloth towels, and household wallpaper; digital photographic images downloadable to a computer or any wireless device via a global communications network. .
(1) - Clothing, namely skirts, pants, shirts, jackets, tee shirts, golf shirts, sweat shirts, sweaters, sleepwear, hockey jerseys, socks, pullovers, short pants, scarves, turtle necks, mock necks, undergarments, vests, hoodies, headbands and wristbands; hats, toques visors and sun visors; coffee mugs and drinking glasses; stationary, namely pens, pencils, paper, envelopes, notebooks, binders, calendars, postcards, wrapping paper, posters; novelty items, namely collectable figurines, comic books, playing cards, emblem badges, party balloons, novelty pins and buttons, keychains, clocks and watches, umbrellas, miniature hockey sticks, lunch boxes, cloth towels, and household wallpaper; digital photographic images downloadable to a computer or any wireless device via a global communications network.